Illinois. The meet was smaller than normal with only five teams competing, but had some potentially big implications for some runners. It served as a “last chance” meet for competitors to qualify for the NCAA Division III indoor nationals. 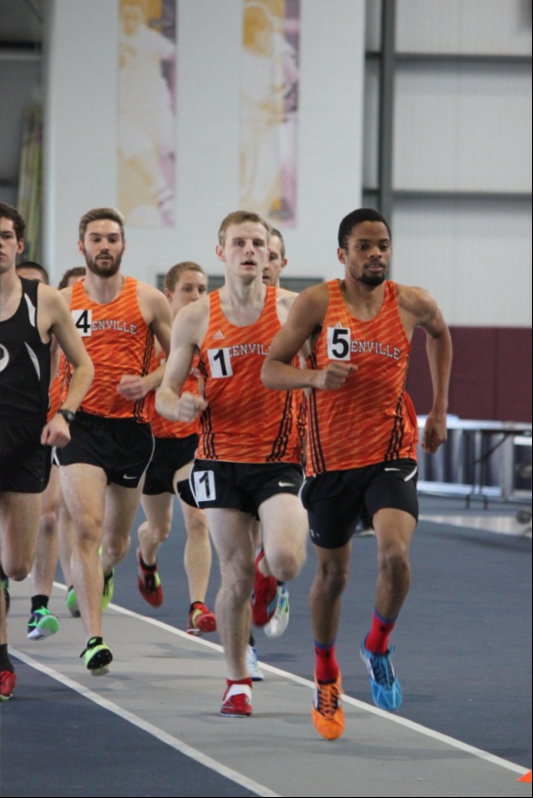 Due to the decreased number of competitors, team scores were not kept, but the Greenville Men’s track team did put in the work to get it done at this meet. If it was being scored the men’s team would have won the meet. While the women competed well down the stretch, they would have gotten second in the meet if scores were being recorded. The men’s team was led by the distance and sprinter squads. John Mangold won the mile and ran a great time of 4:35. Greenville put four in the top five of the mile before one of Principia guys was next before the fourth Greenville runner. Nathan Allyn ran the fastest last lap out of all the runners in the mile and finished with a time of 4:39. Nathan Potts and Jaylen Shelton ran their personal best in the mile as well. Potts got 4:41.39 while Shelton almost tied him with a time of 4:41.42. A few of the distance runners did the high jump for the first time ever at this meet. Coach Patton gave a few members of the team who usually are running laps around the track a chance to try something different and they competed well. Matt Hughes won the high jump with a height of 5 feet and 9 inches, while Trey Manning followed in second and Andrew Sharp in third. Manning also competed well in the 800 meter dash and won that event with a time of 2:04.14. He topped off his great day by finishing fourth in the 60 meter dash with a time of 7.48 seconds. Jonah Peoples won the 60 meter dash with a time of 7.12. The distance ladies enjoyed some great success in the 3000 meter race and the mile. 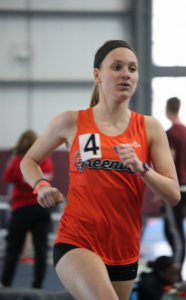 Brooke Goodyear won the women’s 3000 meter race with a time of 10:54. In the mile Molly Works and Megan McKee finished strong. Works got second place with a personal record time of 5:34. McKee finished in fourth place with a time of 5:58. 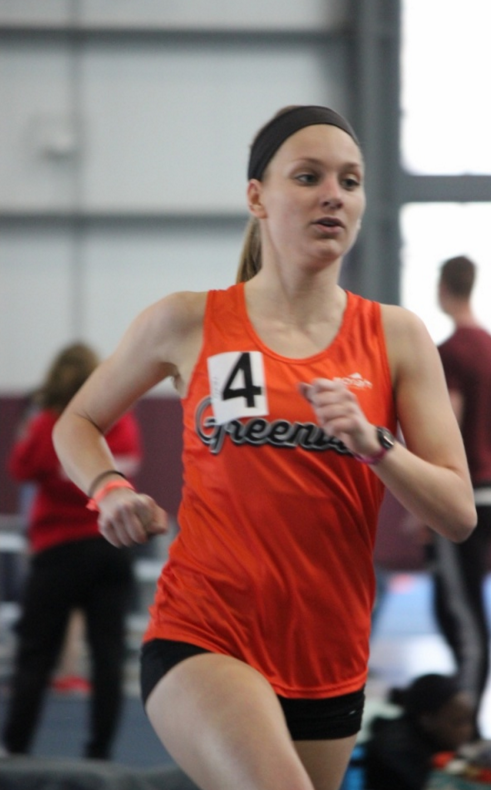 It was a great day for the GC Men’s and Women’s Track team at the Principia invite. Next weekend will be one more last chance meet to make it to Division III Nationals. Most of the runners will prepare for the outdoor season which starts Friday, March 25.